On this page you will find open access Statistics textbooks along with supplemental materials. The purpose of these subject specific pages is to highlight content for those who are interested in what open educational resources are available. This list of content is by no means exhaustive. The nature of open educational resources is very collaborative and we encourage comments about the content featured on this page, or recommendations of content that are not found here. 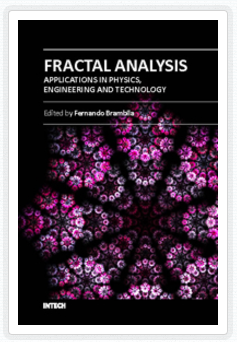 Fractal Analysis - Applications in Physics, Engineering and Technology - Fractal analysis has entered a new era. The applications to different areas of knowledge have been surprising. This book discusses the fractional calculus-fractal geometry relationship, which allows for modeling with extreme precision of phenomena such as diffusion in porous media with fractional partial differential equations in fractal objects, and expands on the topic from there. 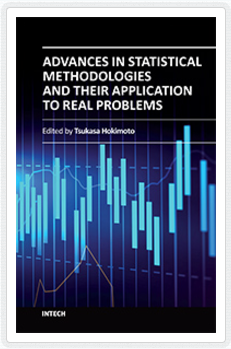 Advances in Statistical Methodologies and Their Application to Real Problems - This book provides a cross-disciplinary forum for exploring the variety of new data analysis techniques emerging from different fields. 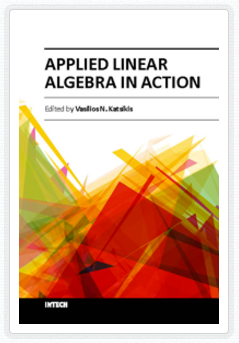 Applied Linear Algebra in Action - The present text book contains a collection of six high-quality articles. In particular, this book is devoted to Linear Mathematics by presenting problems in Applied Linear Algebra of general or special interest. "[Computer science] books available under free license that allow readers to copy and distribute the text. Co-founded by open-education visionary Dr. David Wiley and education-technology strategist Kim Thanos, Lumen Learning is dedicated to facilitating broad, successful adoption of OER. Textbooks covering topics such as algebra, calculus, geometry and trigonometry. Topics in Math that include applied linear algebra, molecular dynamics and a lot more. A textbook collection of statistics topics which include, Applied Probability; Collaborative Statistics; Business Statistics and more. 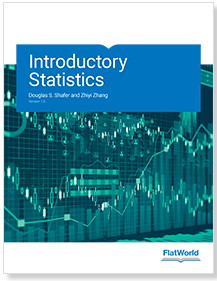 A collection of statistics and probability textbooks covering topics including, Getting Started with SPSS; Foundations in Statistical Reasoning and more. An open and free course from Carnegie Mellon's Open Learning Initiative. A resources that explores how designers, statisticians, and computer scientists are using data to understand ourselves better, mainly through data visualization. A collection of lessons and lectures on topics in mathematics. Multimedia educational resources for learning and online teaching which cover many different Math topics. Use the course finder tool to search math topics, sub-topics and specialties. An offering of lessons that cover many different subjects of mathematics. An online course developed by Rice University (Lead Developer), University of Houston Clear Lake, and Tufts University. The course covers a number of topics such as, graphing distributions, describing bivariate data and a lot more. Introductory and advanced courses in mathematics, and statistics. An extensive collection of resources that offers introductory principles and practices, as well as very advanced and specialized materials. A collection of statistics courses made openly available by the Massachusetts Institute of Technology. A collection of learning modules, examples of which include: Displaying and Describing Data; Modeling Distributions of Data; and Describing Relationships in Quantitative Data, to name a few. Journal of Modern Physics is an international journal dedicated to the latest advancements in modern physics. The goal of this journal is to provide a platform for scientists and academicians all over the world to promote, share, and discuss various new issues and developments in different areas of modern physics. A peer-reviewed international journal devoted to advancing understanding of theory and methods in the area of statistical distributions and their applications. The scope includes, but is not limited to, the development and study of statistical distributions; frequentist and Bayesian statistical inference, including goodness-of-fit tests; statistical modeling; computational/simulation methods; and data analysis related to statistical distributions. Open Journal of Statistics (OJS) is an international journal dedicated to the latest advancements in statistics. The goal of this journal is to provide a platform for scientists and academicians all over the world to promote, share, and discuss various new issues and developments in different areas of statistics. 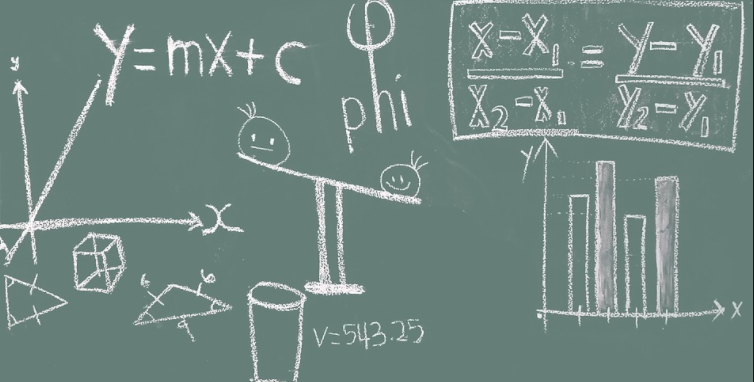 A collection of open journals featuring topics in mathematics.